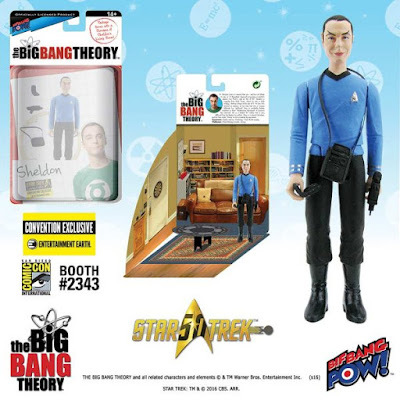 The Blot Says...: SDCC 16 Exclusive The Big Bang Theory Star Trek 3¾” Action Figures by Bif Bang Pow! SDCC 16 Exclusive The Big Bang Theory Star Trek 3¾” Action Figures by Bif Bang Pow! 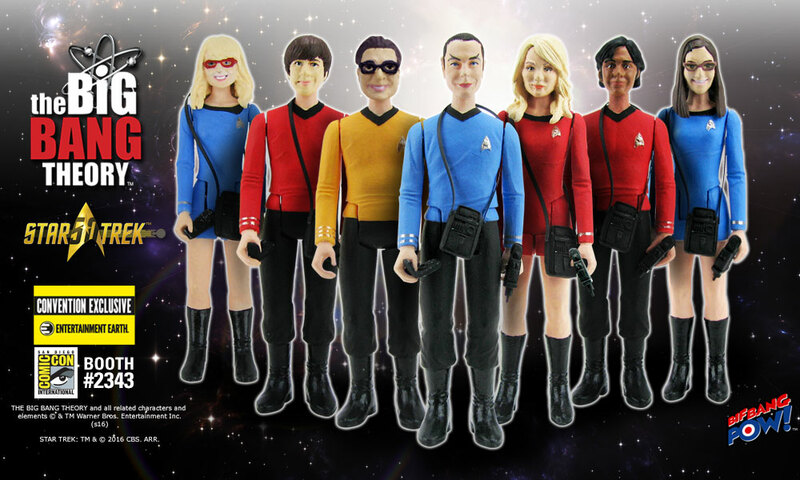 The Big Bang Theory meets Star Trek: The Original Series in this limited edition series of San Diego Comic-Con 2016 exclusive 3¾” action figures by Bif Bang Pow! and Entertainment Earth! These SDCC 2016 Exclusive Star Trek Edition The Big Bang Theory action figures showcase each TBBT character in a Star Trek: The Original Series uniform and comes packaged with a pop-out diorama of a unique stage set from the hit television series! The San Diego Comic-Con 2016 Exclusive Star Trek Edition The Big Bang Theory 3¾” Action Figure Series includes Leonard (2,360pc LE), Sheldon (2,464pc LE), Howard (2,360pc LE), Raj (2,320pc LE), Penny (2,360pc LE), Bernadette (2,280pc LE) and Amy (2,280pc LE). 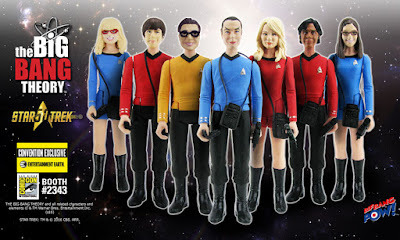 Each figure features 5 points of articulation, comes individually numbered with a holographic sticker, and everyone (except Leonard) includes Star Trek accessories like a Communicator, Phaser and Tricorder. If you’re attending Comic-Con 2016, you can purchase these The Big Bang Theory x Star Trek: TOS action figures at the Entertainment Earth SDCC booth #2343, and if not you can pre-order them online now for $14.99 each here.